Lately a lot of albums we worked on got released. Time for an update! There are some new examples in the audio player, go listen! – A few months ago we mixed and mastered the double album “Heimkehr” from German folkrockers MINNEPACK . Mixing 22 songs is quite a task but the result speaks for itself. – The new OBERON album “Aeon Chaser”, which we mixed and mastered end of 2017 was finally released via Prophecy Productions and is getting great reviews! There is a snippet in our new audio player. – We also released some of our own projects. The Epic Skaldic Metal project ASH OF ASHES released the debut album “Down the White Waters” which got fantastic reviews and also generated quite some attention in the Pagan Metal scene! – Furthermore in October my own OVER THE HILL Irish Folk album “From the Highlands to Tralee” has been released. We worked on it within the last 6 years, whenever there was some time left. There is also a snippet in the audio player. – Southern German Medieval-Rock band BRACHMOND gave us their album “Ascheregen” for mastering. – Rúnahild released “Seidsang” which means it’s the 10th time she works with us! 7 of her albums are from the previous band ELIWAGAR. Thanks for trusting us again! The last homepage update was almost a year ago. So it’s time to post what we’ve done in the last months! – Mixing and mastering of the “Heimkehr” double CD of medieval rock band MinnePack to be released in May. There are more projects in the pipeline. We’re also working on new Kalthallen Cabs impulses! After the surprising death of Tim “avicii” Bergling I put up a tribute cover song on soundcloud. Enjoy! The latest releases have been added to the ‘clients’ page. 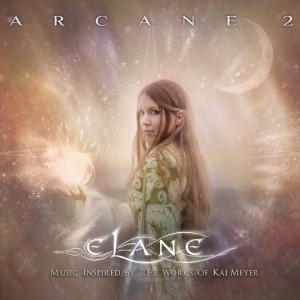 and also the album “Arcane 2” by my own band ELANE. We couldn’t be happier about the great reviews that reached us in the last months. We also worked on some new releases about to be released in the next months. Swedish Folk Metal band UTMARKEN asked us to master their upcoming album “Förfallstid”. The German Black Metal/Industrial band SCHWARZACH also used our mastering service. Kalthallen Studios wishes a good year 2017 to all customers! We already were busy at the beginning of the year and mastered the upcoming VITAE album. The German band plays medieval music in the style of Dead Can Dance. Another German band named FERNDAL was here, too. Their debut album with the same name was mixed and mastered here. The DDP master is uploading in this very moment. – Thanks Mindtech, for sending us their EP “Edge of the World”, that was mastered here in January. Take a listen! – MYRKGRAV‘s new album “Takk og farvel; tida er blitt ei annen” is now released digitally. CD Version will follow in a few months. – The Kalthallen homepage and the shop have been moved to a new server. Everything should run even faster now. Also the Kalthallen domain is now a SSL website. Yesterday the mastering of the upcoming MYRKGRAV album “Takk og farvel; tida er blitt ei annen” was finished. The album will go online October 26th, exactly 10 years to the day since Myrkgrav’s debut album “Trollskau, Skrømt og Kølabrenning” was released. The debut album was also mastered here. Time flies! A CD version will follow later. We’re happy to present you the “GreenKet” virtual cabinet in Two notes Torpedo format. After the two previous EP’s, also the third POLE POSITION EP was mastered here. The Norwegian hard-rock band hasn’t released the new output yet, but you should check them out nonetheless. Recently the mastering for the EP “taudr” of swedish band KING OF ASGARD was finished in Kalthallen Studios. Recording and mix were done in the swedish Endarker Studio by Magnus Andersson (MARDUK). “taudr” will be released by German label Trollmusic this fall. We’re very happy to show you our brand new Kalthallen homepage! The page is now fully responsive and works on all kinds of devices, and we hope that you like is as much as we do. A big ‘thank you’ to Alina from Winterheart.de for the design and layout. If you don’t follow us on Facebook already, please do so and like our page to get the latest news there aswell as here.